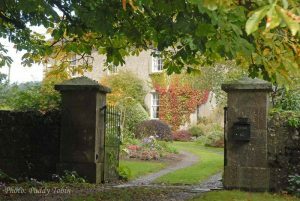 The maintenance of the domestic lawn has been portrayed for many years as a male obsession; man and machine in a co-operative striving to produce and maintain the perfect green sward, weed-free, blemish-free, perfectly edged and striped. Prior to the invention of the lawnmower, sheep were the close croppers of choice – so, it is no wonder there were “slips” on the cricket field – and Woodrow-Wilson, 28thPresident of the United States used sheep to mow the White House lawn during World War I, donating the money saved on labour to the Red Cross. Alongside the sheep the scythe was used, obviously a very useful and effective implement as it was recorded in use as far back as 500B.C. and was commonly in use well into the 20th century. Indeed, I recall my father using a scythe annually to clear an orchard in late summer to facilitate apple collection. Despite lawn maintenance being traditionally a man’s work women were very often used to advertise the lawnmowers! It was Edwin Beard Budding (1796 – 1846) who invented the first lawnmower, patented in 1830, and produced in partnership with iron foundry owner, John Ferrabee. It would seem that he was inspired by machinery in use in the woollen industry to cut the nap off woollen cloth and saw that something similar could be developed for “the purpose of cropping or shearing the vegetable surface of Lawns, Grass plats and Pleasure Grounds”. Though less that 1,000 machines were produced before his death his invention paved the way for changes, developments and improvements in lawnmower design over the following 170 years or so since his death. He will be remembered as the man who invented the first lawnmower. As an aside, he also invented the first adjustable spanner, a type of pistol called “The Budding Pepperbox Pistol” and worked with George Lister to make revolutionary improvements to the wool carding machinery in use in the mills. 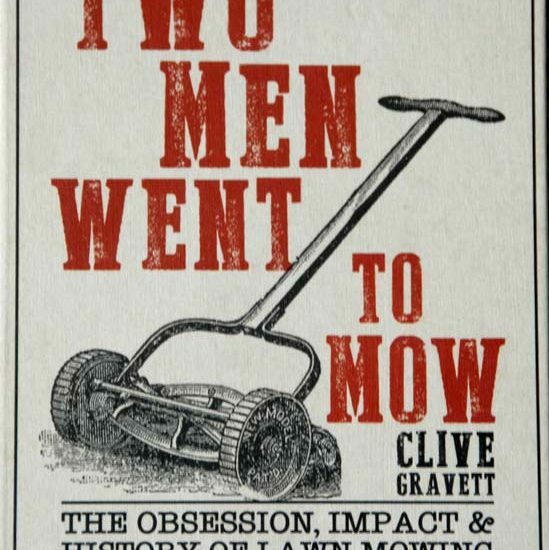 The author, Clive Gravett, returned to his first love, horticulture, after a career in banking. He became more and more interested in gardening history and, later, particularly interested in the history of the lawn mower. He now has one of the most extensive collections of historic lawnmowers, housed at the Museum of Gardening which he established, and is regarded as one of the leading worldwide authorities on lawnmower history. This book is a very enjoyable read, as organised and as practical as a well-oiled old lawnmower and as beautiful as a perfectly maintained lawn. It is brimming with interesting facts and illustrations, snippets to delight and entertain the reader and illustrated with many old photographs and advertisements.